When we were born again, only our spirits were born anew, recreated in the image of God, and filled with the life and nature of God. Our minds and bodies were not born again. God has placed on us the responsibility of renewing the mind and crucifying the flesh, through the Word and by the Holy Spirit. This book focuses on renewing the Mind—what needs to be done and how to do it. 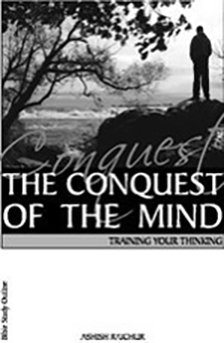 This is a study outline addressing: The Mind–A Biblical Perspective The Mind–A Battlefield Renewing Your Mind Developing a Positive Mental Attitude Balance of Spirit and Soul This study outline is intended for use as a personal study guide, for use in small group discussions or as lecture/seminar/conference notes.